Heron Creek CC is in North Port, Fla and and we just opened Nov. 1st after a total renovation of all 27 holes. They replaced all the greens with tifeagle ultra bermudagrass and reseeded all the tees, fairways and rough with a different type of grass and the place is in GREAT shape. Last year it was a disaster and we had to wait 6 months to play but it was worth the wait. They brought it back to the original Arthur Hills design specs and it sure looks different. Heron Creek is semi private, so the public is able to play. it. So if you are lucky enough to get down this way you might want to try it out. I'd bet you won't be disappointed. Affordable to me simply means, can YOU afford it? For some guys a new $400 driver every year is affordable. That is not the case with me. I am a shopper. I don't ever pay full retail for anything. Its a matter of what I am comfortable spending on a certain item, whether it be clothes, clubs , cars or whatever. For me the acid test is , am I happy with the purchase and do I have any buyers remorse. I think everyone agrees that paying less rather than more always feels better but what works for me may not work for you. We are conditioned as consumers to believe more expensive is always better and in many cases that is true. Retailers put a number on things and there are always some who can afford things at any price and are willing to pay. they can afford it. Many of us can't afford to pay those prices and are not willing to pay them. That's why there are SALES, SO, I think affordable is a sliding scale and is truly a personal thing based on each persons situation. I do not think affordable means cheap or of poor quality. Its just an interpretation of a number. Neither can I afford it. I played it once and that was enough. There are so many other courses that are very nice and aren't budget busters. Hilton Head National, Indigo Run, Rose Hill and Oyster reef are some of my favorites. See you like Harbor Town.. Cooterman. I am writing a review for Hilton Head for my website and will post it soon. Maybe we can compare notes. 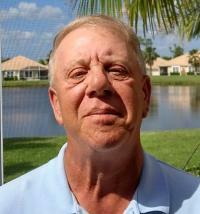 Hi Cooterman.. Good friend from Akron/Canton here at Heron Creek..Don Bourne--Know Him??? MikeyT posted a topic in Everything Else! Hi Folks: One of my FAVORITE places for a golf buddy trip is Santee National Golf Club in Santee, S. C.... WHY? I think it is one of the best set up places for golfers to stay, play and carouse. The Santee area has a wide variety of golf courses, 17 in all, and hotels to fit your style and budget. Known as the â€œValue Destination of the East Coastâ€, Santee offers great golf for the money. Situated along Interstate 95, Santee is also probably the easiest to find golf destination. There are numerous places to stay but you would absolutely want to go with the golfers condos at Santee National Golf Club. They have 3 buildings along the 1st tee with 4 condos each and they are pretty much out of earshot of everyone. So, if you are like the golfers I traveled with, the more they drank, the louder they got, and here, you won't disturb anyone. We always seemed to run into a group or Canadians and they were FUN . They even brought their own bagpipers. That was interesting and entertaining. Drunk Canadians WITH bagpipes, what a HOOT. The condos are 2 bedroom, 2 bath and a full kitchen. The bedrooms have 2 double beds for 4 golfers per unit, so this is the way to go. Don't know about you, but I don't want to sleep in the same bed with another golfer, even after a few drinks. The 17 courses located int the Santee area offer more than enough choices for a week long trip. My favorites are Santee Narional, Lake Marion GC, Wyboo and Santee Cooper. They are all championship golf courses with tees for players of all skill levels. Dining is limited compared to larger places like Myrtle Beach and Hilton Head but there are enough places for variety in a week long trip and you still have your full kitchens and grills outside of your condo. Its always nice to have a juicy steak after playing 36. The ONE place that is a MUST is the Lone Star Bar-B-Que and Mercantile which is almost with in sight of the condos and is on Santee State Park road. This place is one of the most unique dining spots in the area and the locals and golfers in the know love it. Don't be put off by the 1920 look of the place, its worth checking out. It is only open Thursday to Sunday and I try to eat there at least twice when I am there. The price is right and I believe it is some of the best home cooking the South has to offer. They even had free live entertainment on a Saturday that we visited. So if you are looking for a destination that is less hectic and offers everything any group would need for a successful trip at a reasonable price, you might want to put this area on your list of places to go. Where are you in Mass? My son lives in Newton, just outside of Boston.